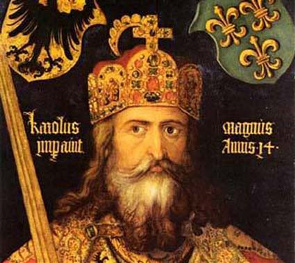 King Charles I of France (Charlemagne) (2 Apr 74x - 28 Jan 814) is a gr...grandfather to many persons in my wife's family tree. As a result, in addition to her Mayflower and other colonial ancestors, she also has links to most of the (pre-1500s) royal families of Europe with many kings, queens, dukes, duchesses, etc. as gr...grandparents and cousins. In the tabs, there is a new FAMILY option. Using the Ancestors Tab, there is a new Vertical option. If you are curious about the relationship of one person to another, you can easily turn on Relationship Display and set one person as the "first person", and you will automatically see how that person is related to any other person you subsequently view. A new Text+ option has been added to ANCESTORS and DESCENDANTS - to display the siblings (uncles and aunts) of the ancestors or siblings (cousins) of the descendants. Welcome to the NEW www.OurFamilyLinks.org genealogy site. As usual, NO ads of any kind, just family history. Chuck Filteau is the person who keeps this web site going. The Filteau-Fecteau family tree documents more than 110,000 people (18,000+ direct descendants as well as 80,000+ in-laws) who belong to the family tree that originated with Pierre Filteau and Gillette Savard. We celebrated their 350th wedding anniversary on - 22 Feb 2016 - I encourage any and all of you to add your names to the family tree by contacting us. I've been told that my sources may be more valuable than the names themselves. There are a huge number of: birth/baptism, marriage, and death/burial records (complete with images); images of census records; and obituaries (even for in-laws). The Walker family tree (30,000+) documents the New England, Mayflower, and Royal ancestry of my wife Emelda Walker Filteau back to Charlemagne and even Old King Cole and (perhaps?) Lady Godiva. The Odegard-Blegen family tree (20,000+) documents my mother's Norwegian family - her cousins and ancestry back to the 1200s. This site will be gradually enhanced to provide additional features. But I wanted you to be able to use all the enhancements in the newest version of TNG as soon as possible. My great-grandfather Elias (Elisee) Filteau was one of the earliest settlers (before 1875) in the Red River Valley at Grand Forks, ND. He owned property on both sides of the river. 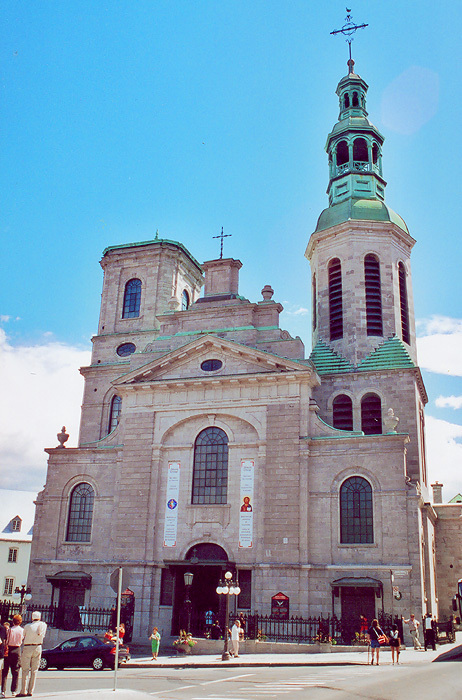 Once I started looking, it took almost 8 years before I could determine his ancestry; but that spawned my interest in documenting ALL of the descendants of our ancestral immigrants, Pierre Filteau and Gillette Savard, who married in Notre Dame Cathedral/Basilica in Quebec City in 1666.